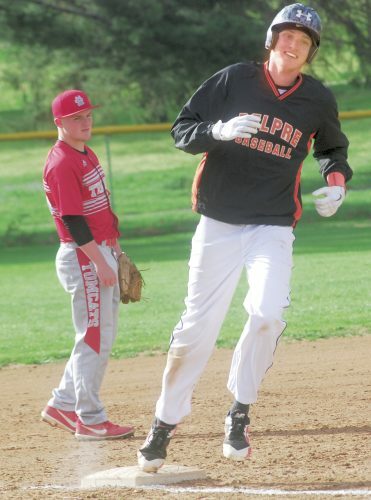 WILLIAMSTOWN– The Parkersburg South Patriots rushed out to a early 10-0 lead going in the bottom of third, but the Williamstown Yellowjackets scored three to force it past three innings, but the Yellowjackts rally was ended by a Paige Adams three-run blast in the bottom the seventh with two outs put the game out of reach, for the 15-6 Patriots win. Yellowjackets starting pitcher Aiyana Hancock struggled with command early and often the entire game, starting with walking lead off hitter Ashlee Ellison. Ellison advanced to third off of two Hancock’s wild pitches, scored on Alexis Fieck triple that got of reach of Yellowjacket leftfielder Faith Hoosier’s dive. 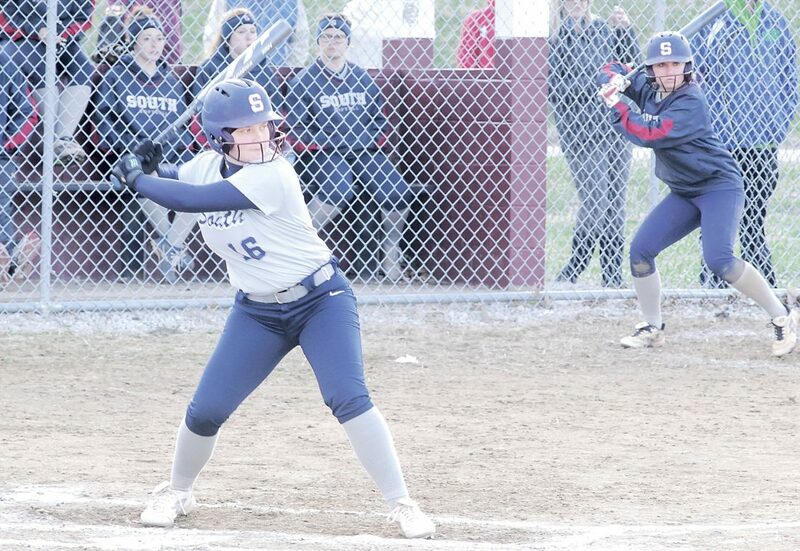 Fieck scored off Kelly Amos sacrifice fly and Aurora Slusher hit a double, but that was it in the first for the Patriots. 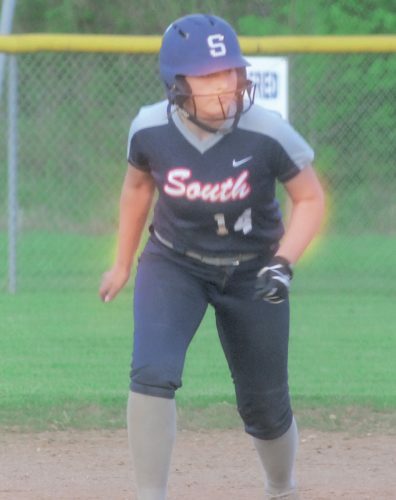 Opposite of her counter part, Zoe Wells started out strong on the mound for the Patriots for the first four innings, Yellowjackets went when three-up, three-down, starting with Brittney Hooper looked at strike three and Chole Hooper hitting into a double play to end the first. “She pitched great, it was until the later stretches of the game. She was getting tied and they started to see more of her pitches, but she finished strong. Hancock opened the second getting Makayla Sink looking at the 2-2 pitch, but gave up five runs in the second. Lauren Somerville got on base with a single, before Ellison smacked the ball that hit the wall for a run scoring double. Fieck sent a line drive straight to the hot corner, but Chole Hooper could only get her glove on it, giving Fieck a RBI double. Hancock grounded out and walked the next two batters, gave up a two-out two-run triple to Slusher, who scored off a wild pitch. Hancock got Kylee McCorkle to pop-out for final out, making it a 7-0 Patriots lead at the end of the second. Amos made a nice dive off Kristen Harmon’s grounder to get the third out, as the Yellowjackets went three up and three down, for the second straight inning. Haley Hatfield’s chopper got her on base for the single, later scoring off of Makayla Sirk’s double that landed at the warning track. That was the only run for the Patriots, as Hancock got another strikeout, getting three straight outs to prevent any more runs. 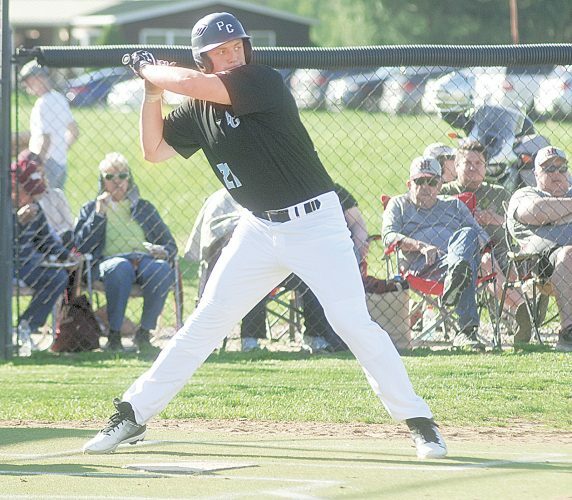 Joecy West started the third grounded out, as the Yellowjackts’ got back-to-back singles by Jocey West and Hooiser, but Jooper hit into a 6-4-3 double play stopped the Yellowjackes’ in their tracks. Amoms scored off Chole Hooper’s throwing error that went over Kristen Harmon’s head. Replacing left fielder Kylee McCorkle, Gigi Gerichten hit a double that scored Slusher, who was walked in the previous at bat, making it a 10-0 Patrioit lead. Helping out her own cause, Hancock scored Natalie Sawin, designated runner, but needed help getting off the field after injuring her her knee, but continue to finish the game. Thirdbasemen Fieck got Haliey Landis, running for Hancock, at the plate and Wells got Brittany Hooper swining to end the fourth. “They came to play, they didnt quit at all. 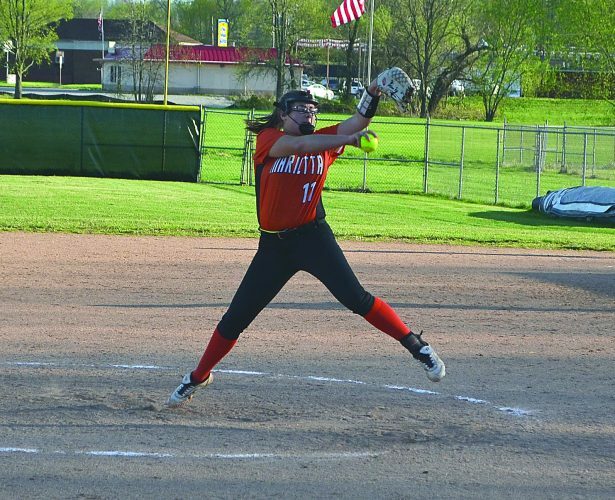 They knew it was going to be a hard game, but they wanted to have fun and play seven innings,” Yellowjackets head coach Kayla Stanley Morris said.